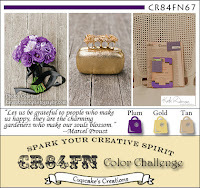 Hope everyone is warm and snug...maybe a hot cup of coffee and a good book or surfing out your favorite blog site, hopefully CR84FN Color Challenge 67!!!!!!! And we appreciate it very much! 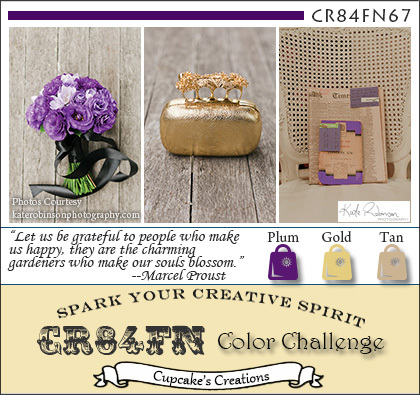 This is week 2 for the CR84FN 67. My card has been stamped with numerous stamps sets. The gold glittery snowflakes were cut with my Joys of the Season Cricut cartridge. I added white Liquid Pearl to the fur on the snowmen, Glossy Accents on their gloves, and gold Stickles on the buttons. Now go check out the beautiful creations by the other designers!!!! What a fun card Mackie, love the peppermint stick paper and sparkly snowflakes! So sweet Mackie! Love the little snowmen with the textured trimmings! That glittery gold snowflake looks fabulous! LOVE the tri-fold card, Mackie, and your FABULOUS snowflake! THX for showing the inside, too! I love this fun fold card Mackie, and those sweet snowmen coloured so beautifully! What a fun card! Love the dimension on the snowman's coat and hat! The sentiment inside is lovely! What a great tri-fold card Mackie!!! Love the cute snowman and the glittery snowflakes! what a fun card. love those snowmen and the pretty paper! great accents with the gold snowflakes. Those snowmen are adorable and love the sentiment!! Pearls and stickles....I don't know why but I have such a hard time with them and they are perfect touches!